"I sense an Oscar win, guys." Let me begin this review with my sentiments, which a lot of other people share: "This is the best animation style I have ever seen." 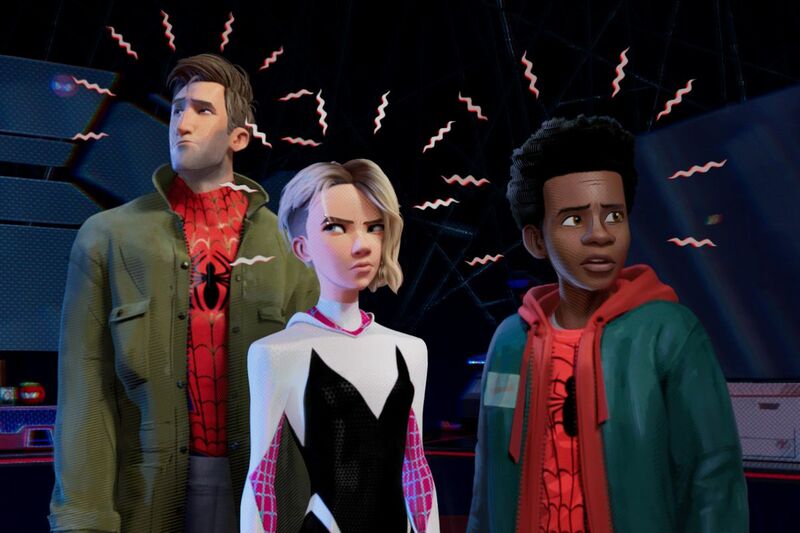 Well, of course stop motion animation is still a glorious thing to behold, but Spider-Man: Into the Spider-Verse gives us a much-needed break from all the computer-generated animation flicks that are basically just Pixar clones. And Miles Morales (Shameik Moore), together with last year's T'Challa from Black Panther, gives us a much-needed break from all the Caucasian superheroes of the silver screen. 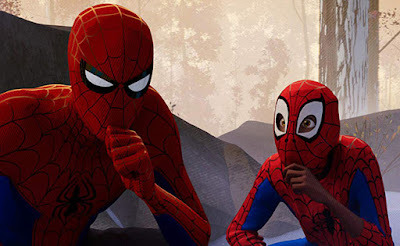 Into the Spider-Verse does beautifully what Ang Lee's Hulk tried to do back in 2003, and that is to blend the visual comic medium with the audio-visual medium of cinema (Lee received a lot of hate with Hulk, but I was one of the very few who genuinely thought it was groundbreaking). The result is a visual style that is totally new, a breath of fresh air in this age where every computer animated film looks the same. There are several nods to the source medium of print, such as using speech bubbles and sound effects text, using CMYK offsetting instead of blurs, and of course the iconic use of halftones. Nothing says print more than those halftone dots. The plot's pacing was okay, although there were times when the almost two-hour running time felt longer than that. And the story is a good take on the alternate universe template. If this were a live-action flick, the filmmakers would probably put the same actor in different makeup and costumes to illustrate different alternate dimension versions of the character. But why should Spider-Man in another dimension always look exactly like Peter Parker (Jake Johnson)? 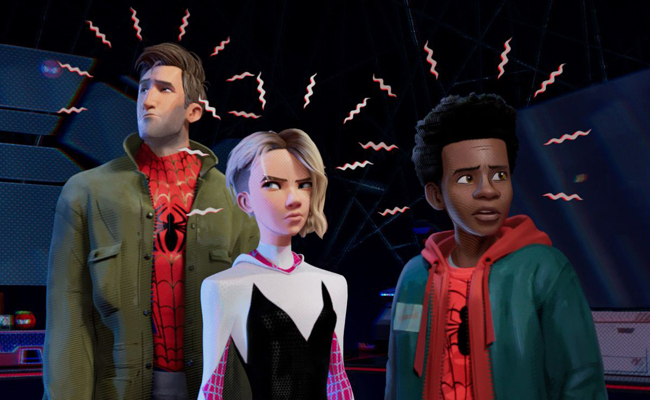 Why can't there be a black Spider-Man, a female Spider-Man (Spider-Gwen, voiced by Hailee Steinfeld), an anime Spider-Man (Peni Parker, voiced by Kimiko Glenn), an animated pig Spider-Man (Spider-Ham, voiced by John Mulaney), or a black-and-white Spider-Man who sounds like Nicholas Cage? In the same vein, why shouldn't an alternate dimension version of me look like Brad Pitt? 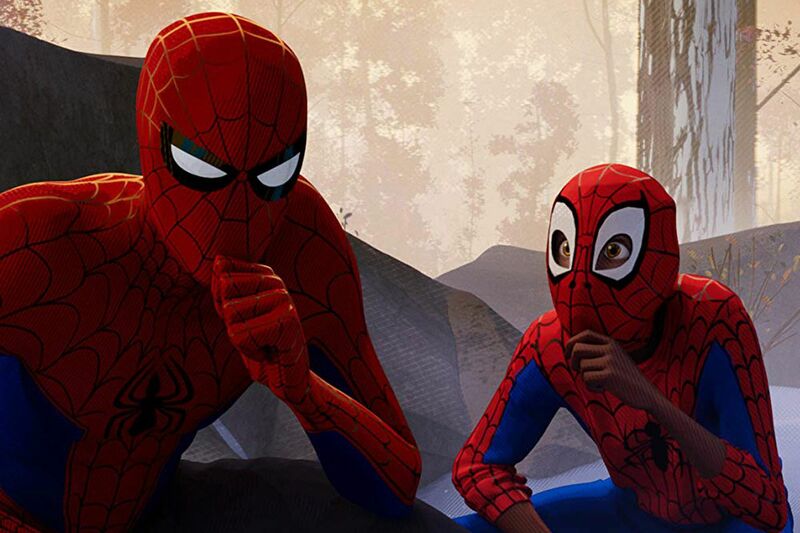 Directors Bob Persichetti, Peter Ramsey, and Rodney Rothman could also have chosen to go the cheesy route and have Miles Morales and Gwen Stacy kiss in the end. It's a good thing they didn't, and they replaced it with Miles hugging his dad in the end instead. 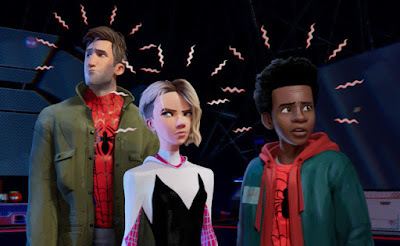 This film is about friendship and family, and isn't about Spider-Man's romantic love interest, because Miles Morales just hit puberty, after all. This review comes a bit late, as the film was released in December, but it does come off a recent Golden Globe win for Best Animated Film. And that is a good sign that Into the Spider-Verse just might take home the animated film Oscar. This is important because I've met children nowadays who would ignore a beautifully animated Hayao Miyazaki flick for a crappy Paw Patrol episode simply because Miyazaki is 2D. Sad, I know, but kids need to be reintroduced to great animation that isn't overtly computer-generated. I guess we need to wean them off gradually, so maybe give them a film that's CGI, but doesn't feel totally CGI, and that pays homage to the 2D medium – and coincidentally, that's what this film is. Honestly, I think this would still rock even as a 2D-animated film. Spider-Man: Into the Spider-Verse. USA. 2018.